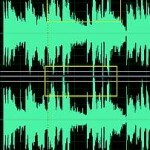 Tags: Loudness in audio mastering, Music reviews. I love your website, it is very instructive. I would consider myself proficient in mixing, and a novice in mastering. I create mixes using top 40 songs, for competitive cheerleading teams. I use Acid 7.0 software for the actual mixing, and then I use Adobe Audition 3.0 for the mastering process. My situation is taking master recordings of other songs, as well as sound effects, my voiceovers, and mixing and mastering them to get a professional quality sound that I can be proud of. I noticed that you had some standard frequency settings that you shared with the public for certain instruments. My question to you is, would I need a different set of frequency standards for the parametric equalizer to master the kind of project that I am talking about, and if so, can you provide me some insight into those settings? For beginners that is not familiar with this process. It starts with what songs that are needed to be included in the mix. This might be decided by the cheer dance team. Then the master recording of these songs are obtained and mixed by creating a multi-track project. Since there is no original recording to be done, it is just a matter of inserting the media/tracks to your DAW. For best quality, the bit depth and sample rate of your mix and the top40 hit tracks you are working should be in 24-bit, 96KHz. 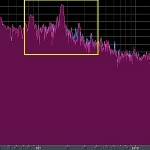 However if they are in lower resolution (16-bit/44.1KHz), you can use up sampling technique to increase it to 24-bit/96KHz although the quality should be the same (no sound improvement from 16-bit to 24-bits). Upsampling is recommended for better compatibility of your mix with the plugins and in your DAW (as they are standardized to process 24-bit data). During the mixing proper, you will implement a lot of effects and voiceovers. In the cheer mix provided above, you have done a great job on the mix particularly with the effects which are basically created using ACID 7.0 software .